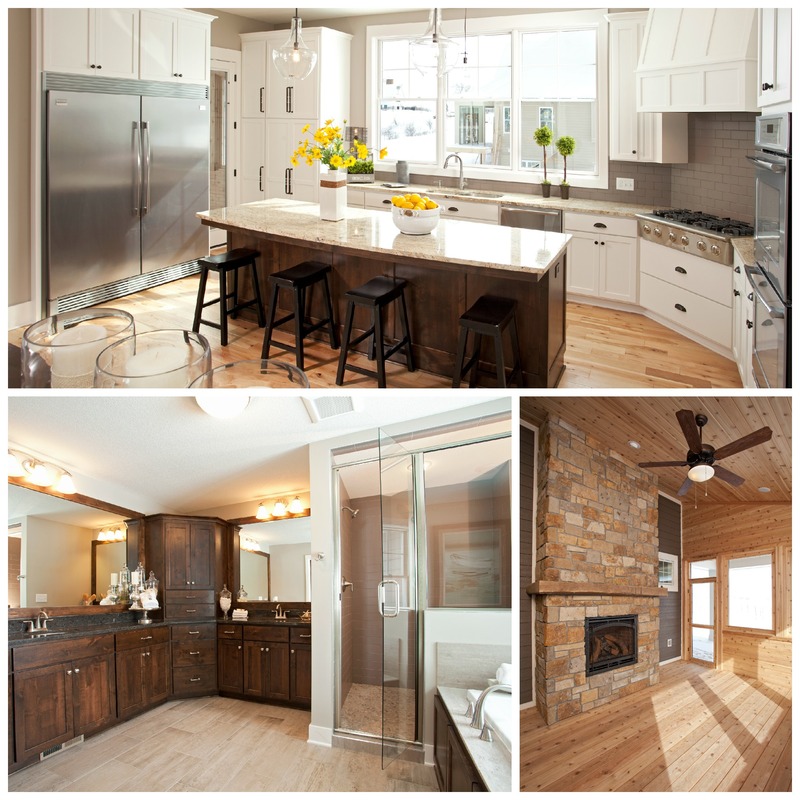 While you are figuring out which entries to stop at during Parade of Homes this month, be sure to put Homes by Tradition’s custom model in Lakeville at the top of your list! Step inside this two-story custom home overlooking Spirit Lake and be consumed by its design and finishes. From the moment you walk in the door, you will notice the open layout and superior quality of your surroundings. Although the entire home is worth seeing, we’ve highlighted a few areas to get you excited. KITCHEN – This spacious and well lit focal point of the home is enriched with natural light flooding in, along with recessed lights that illuminate the space and pendants adding ambiance. The focal point of the kitchen is the large 38 cubic foot Frigidaire refrigerator, along with the Electrolux pro-line range cooktop with decorative oven hood, double ovens, microwave drawer hidden in the island, and plenty of pantry storage. SCREEN PORCH – A screen porch offers the best of both worlds. No matter what the weather is like outside, you can enjoy the fresh air and be protected from any rain or mosquitoes. With a reclaimed wood mantel and natural stone surround, this all cedar porch (floors, ceiling and walls) with in-ceiling speakers to stream music or television, is a great place to kick back and relax after a long day at work. MASTER BATH – An ultimate oasis that blends the rustic compliments seen throughout the home. A spacious walk-in shower with pebble stones in the shower floor and knotty alder wood vanity with a rich chocolate stain make this bathroom a retreat for its owners. These are just a few among the home’s many great qualities. Homes by Tradition not only features custom homes, but a custom experience for each of our clients. Our attention to detail and quality is a practice shared by our entire team. If you’re ready to tour, come see us Thursdays-Sundays through the end of March from 12-6pm. If you can’t make it during those times, just contact one of our experienced New Home Consultants at 952.322.8700 or by email at info@homesbytradition.com and we can set up a time that works best for you.